The best adventure yet :: meeting and falling in love with my cute husband. When you tickled me to the floor and held my hand for the first time...I thought I loved you then. When you looked at me as if I was the only girl in the world...I thought I loved you then. When you told me you loved me for the first time at sunset on Antelope Island...I thought I loved you then. When you answered my phone calls at 3am as I cried to sleep...I thought I loved you then. When you became a Ute with me...I thought I loved you then. When you played soccer with the little kids in Costa Rica...I thought I loved you then. When you served the Lord for two years in El Salvador and wrote me every week...I thought I loved you then. When you looked into my eyes for the first time in 730 days and they sparkled with glee...I thought I loved you then. When you proposed to me with wildflowers on a beautiful spring afternoon...I thought I loved you then. When you met me at the altar and promised to love me forever...I thought I loved you then. We started as best friends (the best love stories do, right?). We met in high school, young and naive in the hallways of Weber High. One night, Braden surprised me with an invitation to prom. I said yes. And to share some of the cheese, the theme of prom was "Love Story" by Taylor Swift. And this song fits our story so perfectly :: "We were both young when I first saw you. I close my eyes and the flashback starts...I'm standing there..."
We were hooked like a fish on a line. We spent everyday together after that. I helped him with math homework, he made me crazy culinary creations. 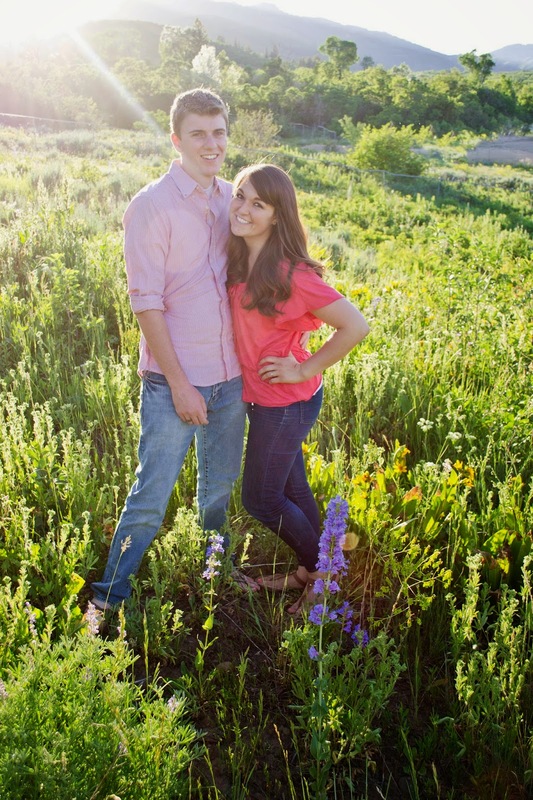 It was tough to say goodbye when he left on an LDS mission to El Salvador for two years...we wrote every week. When he returned, things fell right back into place. We were engaged on a beautiful spring afternoon in the mountains. Married in the Salt Lake City Temple on the second of August two-thousand and thirteen.